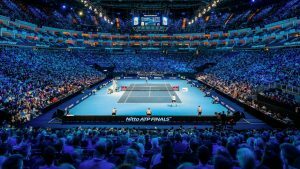 Record breaking crowds, unique atmosphere and a massive worldwide TV Audience, the Nitto ATP Finals is the second highest tier of men’s tennis tournament after the four Grand Slams and is an event not to be missed. 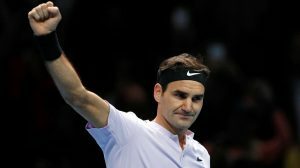 First held in 1970, the week long event is THE season-ending championship of the Association of Tennis Professionals (ATP) World Tour and features the top eight singles players and doubles teams of the ATP Rankings. Roger Federer holds the record for the most singles titles, with 6, while Peter Fleming and John McEnroe hold the record with 7 titles in doubles. 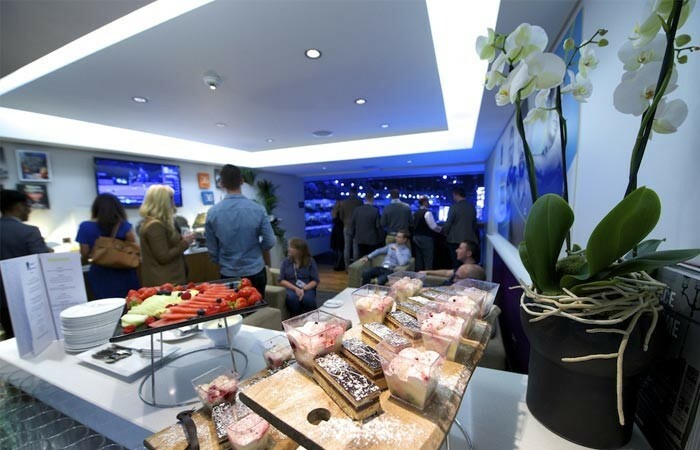 If you are looking for something to entice and entertain your guests with exceptional views, jaw dropping action and unforgettable memories, then The Nitto ATP Finals VIP Private Suite Hospitality is what you need. 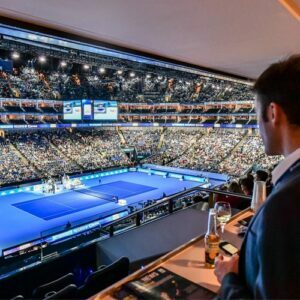 You never know..you might be rubbing shoulders with the stars with David Beckham, Jude Law, Clive Owen, Woody Harrelson and singer Sam Smith having all watched on court side over the years. Book a fantastic VIP experience with The Hospitality Broker today and you can guarantee a night to remember. 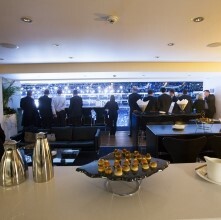 The best seats in the house, VIP treatment and historically proven five-star service from Private Hospitality boxes through to bespoke experiences – contact us today for service with a smile …..your choice, your experience. The ultimate VIP package is the Private Hospitality Suite and is an intimate, Five-Star experience perfect for enjoying quality uninterrupted time with your key people. Private Balcony seating, spacious entertainment areas, TV screens, in-suite bar & personal hostesses. At the heart of the action you will enjoy world class catering, personal hostess service and VIP commemorative gifts. Afternoon, evening or full day packages available. If you are looking for the ultimate experience, why not book our First Class Business Match Seats for the Semi Final Session & Final! Will it be Roger Federer, Nidal or a newcomer that smashes their way through the final? We have very high demand for this selection, so book now to avoid disappointment.. Your experience will include your own Private Suite with an exceptional views, Suite capacities for 15 or 18 guests (up to 6 additional bar stool seats available for purchase at pro rata rate), In-suite Complimentary bar including wine, beer and soft drinks, Four-course gourmet buffet served in your suite, Dedicated hostess, steward and concierge service, Official event programme and commemorative gifts and Parking at the arena upon request (subject to availability).